We’re back with a super special episode #046 of The Paleo Women Podcast!! AND I AM HOME FOR THE HOLIDAYS! To leave a review for the podcast, go to: http://coconutsandkettlebells.com/review. I would appreciate hearing from you more than I could possibly say! 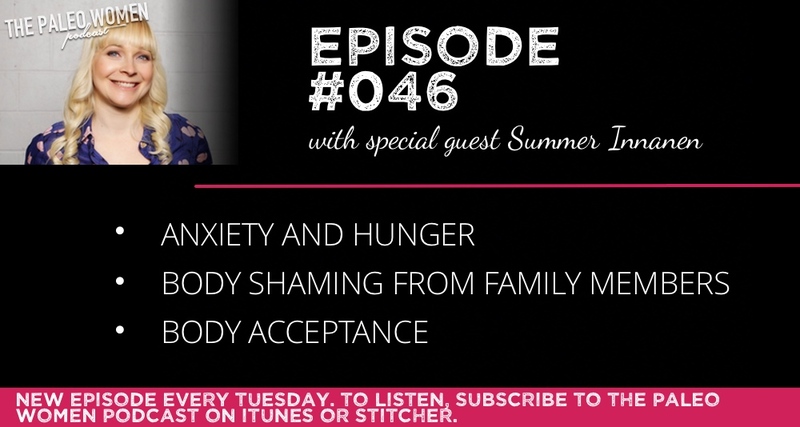 This week, Noelle and I hang out with an amazing special guest, a dear friend of mine and super smart body image specialist Summer Innanen, and discuss hunger and anxiety, body-shaming from family members, and how to love and accept your body. 10% of the funds we receive from our sponsors is donated directly to our partner charity, Dare Women’s Foundation, which is working to empower women in Tanzania to become strong leaders through feminine hygiene care, entrepreneurship, nutrition education, and conservation. Because we get paid per download, you are actively supporting Dare Women’s Foundation by downloading our podcast each week. Download our How to Love Your Body Printable Guide. You can find Summer Innanen at www.summerinnanen.com, or on her podcast, Fearless Rebelle Radio. Check out her free 10-Day Body Confidence Makeover, and her book, Body Image Remix: Embrace Your Body and Unleash the Fierce, Confident Woman Within. 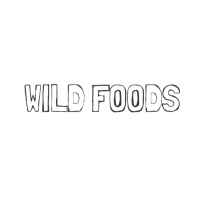 We are SO excited to welcome Wild Foods Company on as a supporter of the podcast because they provide products we absolutely love including coffee, chocolate, tea, and grassfed whey protein that not only taste out of this world – but also are sustainably sourced in a way that respects the environment and the laborers that produce the ingredients. As a special offer for podcast listeners, Wild Foods is offering FREE SHIPPING + a FREE bag of Wild Sweet Nibs when you use the code FREECOCONUTS at checkout! Head over to Wildfoods.co to check out to shop, and stock up! Stef and I are so excited to have Dragonfly Traditions as an official supporter of the podcast because we both love and use their products on our own skin. 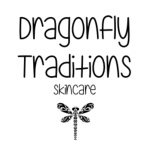 Dragonfly Traditions offers 100% natural skin and hair care products made from nourishing oils, butters, and beeswax. On the site, you’ll find incredibly high-quality skin care products including facial cleansers and moisturizers, lip balms, and facial toners for extremely affordable prices. As a special offer for our listeners, Dragonfly Traditions is offering a FREE lip balm with any purchase! Simply add the product “Paleo Women Podcast” (at the bottom of the page!) for $.01 to your cart when you make an order. Never fear, when you receive your order, you’ll get your penny back! To shop, head over to http://www.dragonflytraditions.com/shop. Ahh, this episode had me screaming in my head as I sat on the train and listened. “Mary Kate” here’s what you do: you look dad straight in the eye and you say, “You will never, ever make a comment about my looks, my body again unless that comment is ‘you’re so fridge beautiful’. If that’s not the comment, you don’t say it. Ever. Capish?” Don’t use logic, don’t educate, treat him like a three-year-old and tell him it’ll never happen again. If it does, leave immediately. No more bullish*t.
“Ashley” you need to deal with your sexual issues. I believe some of them are medical and you’re seeking help. But some of them are psychological, which means you may need to seek help in that arena as well. But a protip: find a friend and a camera, or hire a photographer. Have some hot, hot, hot pictures taken of you. A bunch of them. Go through them and keep the ones you love. Throw the rest out. Look at the ones you love. Look at them over and over and over again because you’re friggen hot. Focus on your hotness. Find your confidence. And fake it ’til you make it if you have to.